One of the most common school-related questions parents have is how to establish a routine that actually works. Homework time can present anxiety for learners—and the adults who love them. You’re not alone if you’re looking for ways to help kids stay focused and on task, feel motivated to start and complete their coursework, as well as find a balance between extracurricular activities, assignments, and family commitments. A well-planned and executed after-school and evening routine can be the answer. In fact, students may be surprised to learn there is actually less work to do than they imagined. I polled our team of seasoned tutors at Teachers on Call for the inside scoop on how to tackle this topic. 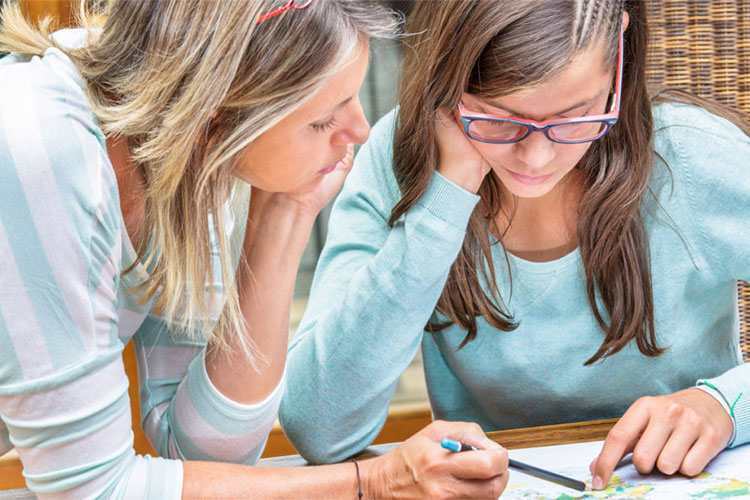 Following are 10 expert tips from our tutors that can help you and your kids leave the stress behind and create a smooth homework routine. After a long day at school, kids need time for a break and snack prior to tackling homework. 2. Create a comfortable workspace. Find a convenient and quiet space free from interruptions. This can be at your home, local library, or any comfortable study environment. All electronics should be put away and out of sight unless being used as a homework tool. TV, cell phones, and computers create many temptations for kids. 4. Use assistive technologies and apps. There are many powerful technology tools to help students organize their thoughts, create structure and assist with core concepts. Many of these tools are free. Apple and Education is a good starting point for finding educational apps. Edudemic is a helpful website with reviews of the latest educational technologies, tools, and trends. The recommendation is that students start schoolwork independently, then draw on expertise of others when needed. This can be in the form of peer tutors, friends, homework clubs, family members, professional tutors and teachers. A popular suggestion from teachers is for students to work with their peers. Classmates are a great resource to call for help, clarification of expectations, and an update on missed work when not in class. You child’s teacher is there to help. If there are any difficulties with homework, both students and guardians can communicate with the teacher to gain a better understanding or request more support. Students should make arrangements with their teacher if they cannot do their homework due to special circumstances to avoid penalties and consequences of incomplete work. 8. Prioritize and use family calendars. Elementary and high-school students can have jam-packed schedules filled with extracurricular activities and commitments. Homework needs to be made a priority with students encouraged to complete all academic exercises while they are fresh and not exhausted. A family calendar can help with organization by tracking all obligations and ensuring playdates are not arranged on nights when students have heavy workloads. This simple solution is a tried and true method. Make a list of all tasks and priorities then simply scratch off as each item is completed and prioritize homework by the order in which it is due. Students should not get discouraged or caught up on the questions they don’t understand. A trick is to highlight or mark an asterisk next to the unknown to signify that help is needed and the concept needs to be revisited. Encourage kids to try their best and attempt a solution versus leaving a blank answer.